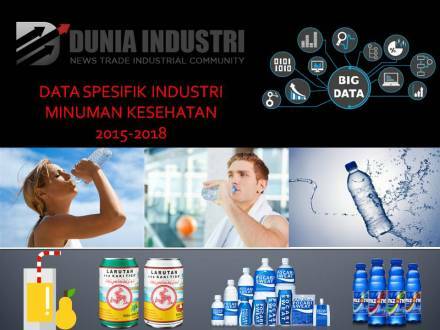 Specific Data on the Indonesian Health Beverage Industry 2015-2018 was released in the first week of March 2018 showing comprehensive data, development trends, interesting infographics, the beverage industry in general, and the health drink industry in particular. Reinforced by market trends (including market size and market value of 7 industry segments), market share map of the health drink industry, and the 2 market leader profile is expected to enrich the market competition database in order to determine the direction of business strategy in the future. Specific Data on the Health Beverage Industry 2015-2018 begins with exposure to Indonesia’s macro-economic data, inflation, and rupiah exchange rate (page 2-4). With the support of large population, the beverage industry is quite prospective and attractive especially for domestic consumption. On page 5, the general definition of the beverage industry and the health drinks industry categorization is shown. On page 6, a graphic of engagement in the beverage industry segmentation appears. The health beverage industry has a strong attachment to the segment of energy drinks as well as ready to drink (RTD) juice / vegetable. In the next discussion, on page 7 to 11, the Duniaindustri.com team made a study of market value growth trends and market size of the beverage industry as a whole along with 7 segments namely the soda and carbonate (soft drink) , bottled drinking water (AMDK), ready-to-drink tea / coffee drinks, dairy based drinks, energy drinks, health drinks and ready-to-drink fruit / vegetable juices. The discussion was conducted for the period 2015-2018F, complemented by annual growth trends and market analysis. With these trends can be seen which segment of the beverage where the highest growth. The data is reinforced by background information on market trends in the period 2008-2015 as a reference (page 11). The percentage composition of 7 segments of the beverage industry is shown on pages 12 and 13. The goal is to display the segment percentage of the total market of the beverage industry as a whole. On page 14, duniaindustri.com makes an independent study of the healthcare industry market share trends in terms of sales value. The data is reinforced by the coverage of brands or brands that compete in the health drinks industry segment. By definition, the healthcare industry segment includes isotonic drinks, ready-to-drink (RTD) herbs, herbal drinks, women’s health drinks, and honey ginger drinks (page 15). On page 16 to page 21, a profile 2 market leader in the health drink industry is presented with market intelligence data from internal sources. Specific Data on Health Beverages 2015-2018 is also equipped with a number of supporting data from competent sources. On page 24, there are brief highlights of the development of the beverage industry in Indonesia. While the main indicators of the beverage industry in the period 2015-2016 are shown on page 25, covering the number of companies, total production capacity, output value, investment value, up to the number of labor. Strategic issues related to the beverage industry are shown on pages 26 to 28. Followed by the profile of the carbonated beverage industry on page 29, isotonic beverage industry profile on page 30, mapping the target market fund of isotonic beverages on page 31, track record of market volume growth beverage industry per segment in the period 2004 to 2015, and flashbacks of beverage industry trends in Indonesia compared to ASEAN countries on page 33.